Included are 4 meshes. 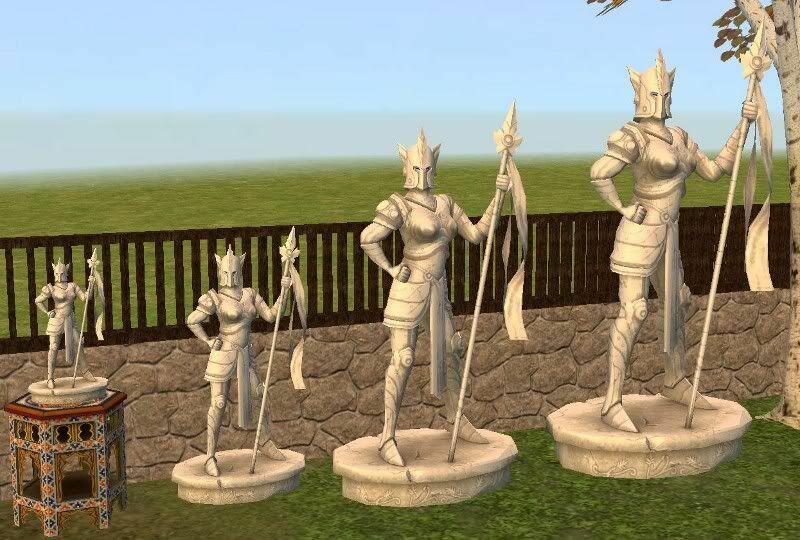 The Sims Medieval Good Knight Female Statue in Large, Medium, Small, and Table Sized. 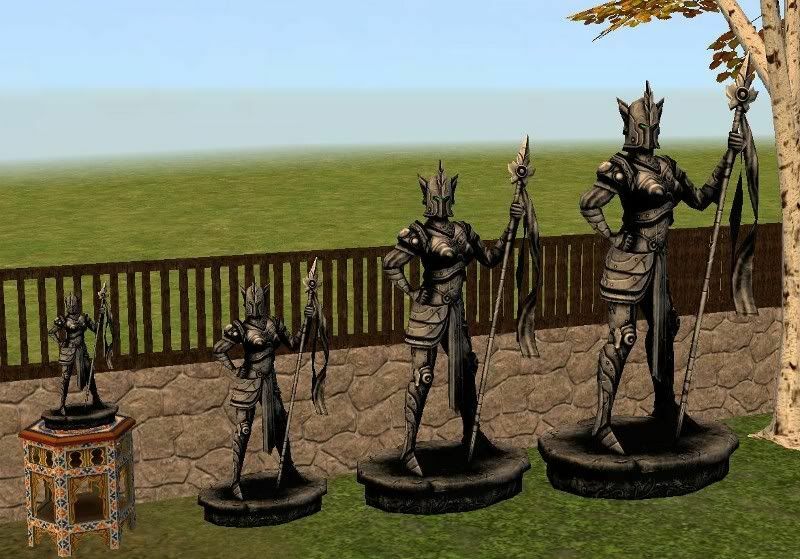 All of the smaller statues are repository linked from the large statue, so that means that the medium, small, and table sized statues do not have textures, and are not recolorable. To recolor, recolor the large one. 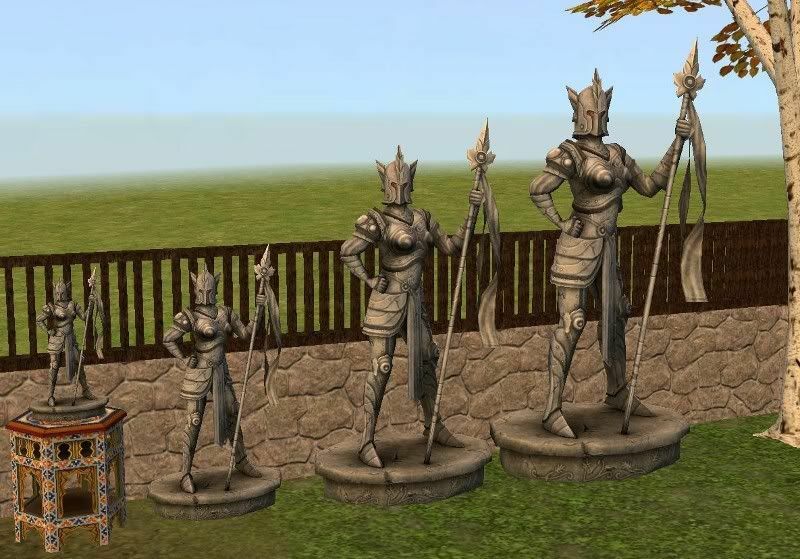 Also any recolors of the large statue you have in your downloads folder will show up in the smaller statues. The table sized sculpture has been BHAV enabled to function as a valid centerpiece. They all have 2 subsets, so you can mix and match the statue color with the color of the eyes, however you want. Enjoy!